As you know we are parked. (To a full time RVer the word "parked" has a negative connotation - the natural condition of an RVer is to be moving, positive!) Joanie still has to see her GP and we will be here for 12 more days. We still have a lot to do - we are going to Walgreen today to pick up prescription refills which should hold us for the next 3 months and we will get flu shots today, too. Yesterday we were with Boots and Joan Malin helping them around their stick and brick house and taking Joan to the Polish Deli in Pineville. (You may not be aware that the Pols are noted for their culinary delicacies - at least amongst themselves. I'm not saying any more on this subject lest I get myself in hot water.) We still have to go through the basement and discard stuff we don't need. So far we have added to the coach's weight and have not reduced it by an equal weight. 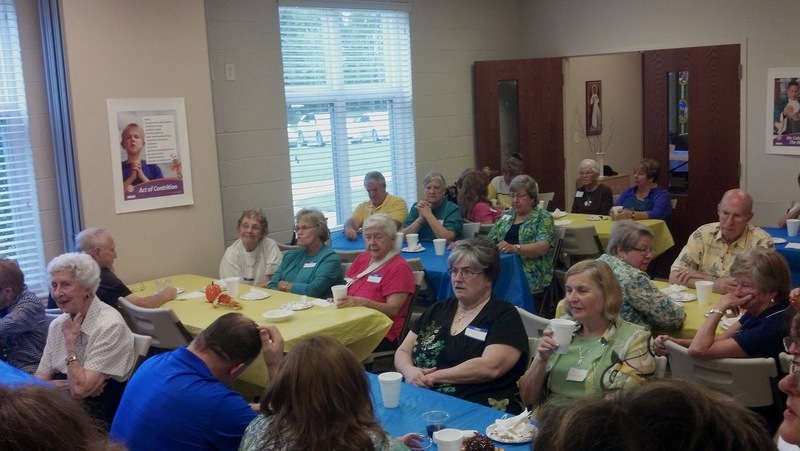 Tuesday we attended the All Saints Senior Group luncheon and I went to the Knights of Columbus meeting that evening. Between lunch and dinner at church I had too much pasta. 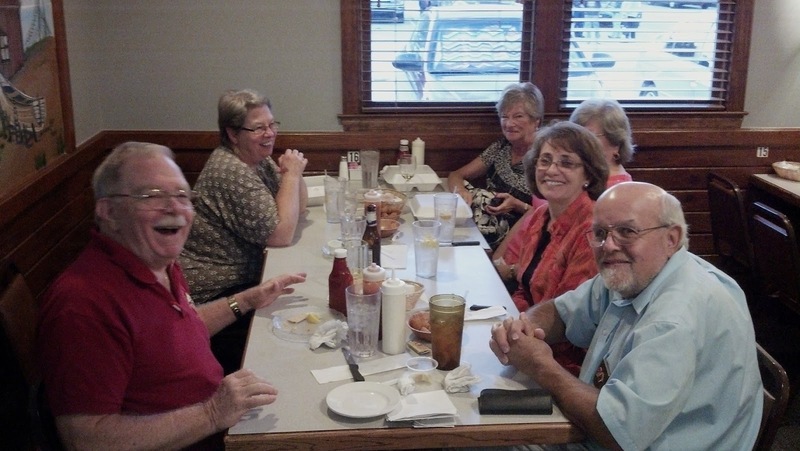 Being back in the old neighborhood we reconnected with the Saturday Night Regulars (going out to eat after Saturday evening Mass). I guess we are the Saturday Night Irregulars now. The reason we are itching to get back on the road is not only because of our own wanderlust but because we are planning to visit my sisters in Pennsylvania and New Jersey and then on to see our son and his family in Massachusetts. Since most campgrounds in the northeast close soon after Labor Day, we were very anxious to find an RV park open all year. The growth of campgrounds in New England have not kept up with the growth of RV's. Most are old and have not been upgraded to handle Motorhomes and big rigs. For these reasons they also charge exorbitant rates. With our son's help we have located a nice one that is only 25 minutes away from them. We will be up in that neck of the woods for the beginning of their winter season as we plan to have Thanksgiving with them before heading back south. We may be camping in the snow again! We, too, are in NJ until after Thanksgiving. Taking care of lots of medical issues before heading out again. Where will you be? We are in Cumberland County. Phyllis, We will be staying in north western NJ or just over the state line in PA. We have not picked a campground yet. I have one sister in Bangor, PA and another in Stewartsville, NJ.